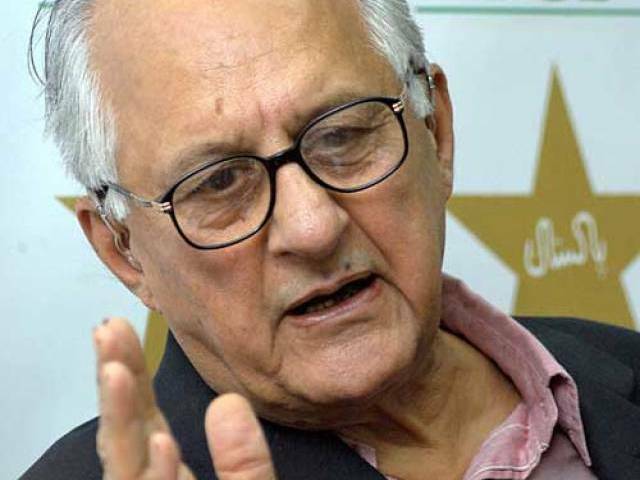 Pakistan Cricket Board (PCB) chairman Shaharyar Khan on Tuesday said the national team’s new head coach will be selected by the first week of May. “The new coach will be appointed by the first week of May and Wasim Akram is also in India for the Indian Premier League (IPL) to discuss with possible candidates,” said Shahryar. However, the chairman said the board has not yet decided whether to appoint a foreign coach or local one. The PCB has been looking for a new coach since Waqar Younis stepped down after Pakistan’s dismal performance in Asia Cup and World T20. Names of former cricketers Aaqib Javed, Moin Khan, Mohsin Khan and Mudassar Nazar have been circulating in the media for the position of head coach, whereas the board is said to be eyeing Tom Moody and Dean Jones as possible foreign candidates for the job. Jones also recently coached Islamabad United in Pakistan Super League. PCB chairman confirmed that Mohsin Khan had been offered the post of chief selector, but he declined in favour of a coaching position. “Mohsin is more inclined towards coaching the national team,” he said. The 82-year-old said the board would now make appointments after giving it proper thought as the national team had tough tours ahead in England and Australia.